It's a home state decal with a sporty twist! 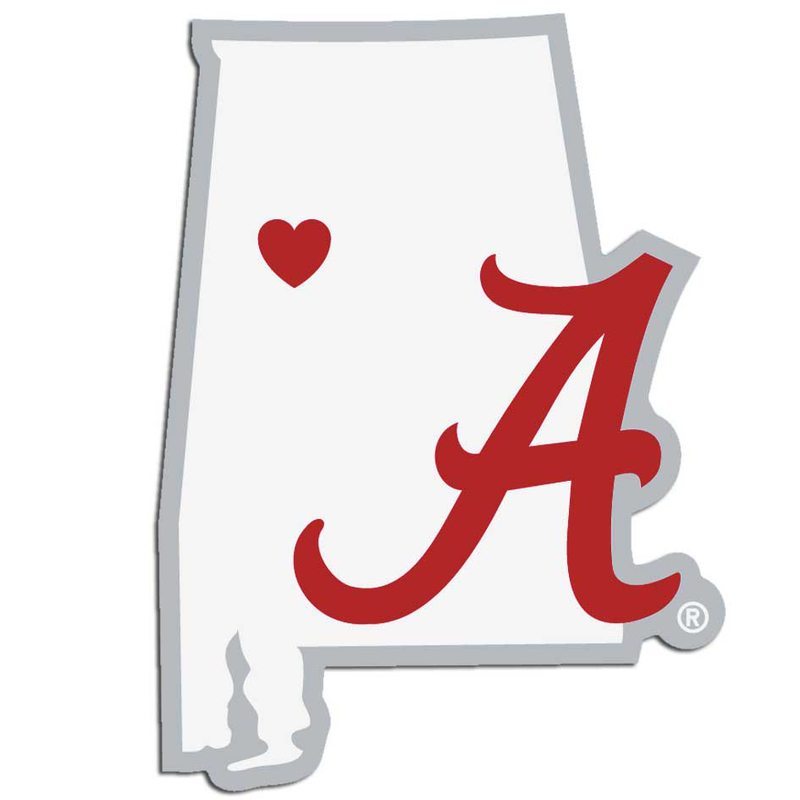 This team decal features the team logo over a silhouette of the state in team colors and a heart marking the home of the team. The decal is approximately 5 inches on repositionable vinyl. Made by Siskiyou.